Actor Matthew McConaughey recently told Jay Leno that life with 9-week old daughter Vida at home is pretty simple so far. "They eat, they crap, they sleep and if they’re crying they need to do one of the three and they’re having trouble doing it. Real simple," he said. It’s a different story when it comes to his 20-month old son, Levi, on the other hand. 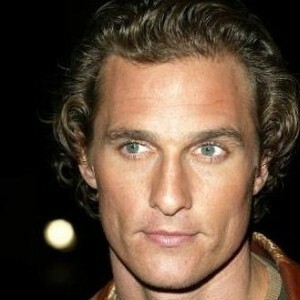 McConaughey says that although there isn’t any sibling rivalry between the kids yet, little Levi keeps his parents busy. "Levi is into everything. You don’t go out and walk in the backyard and daydream for five seconds or they’re on top of the house," he said. The actor, best known for his roles in the movies Dazed and Confused, We Are Marshall and Tropic Thunder, also said he and girlfriend Camila Alves had baby Vida’s name picked out long before she arrived. It means "life" in both Portuguese and Spanish. "It was the only name that we had for a girl even before we had Levi. We had many male names but we only had Vida. She came out and she gave us life so we named her Vida," he said.